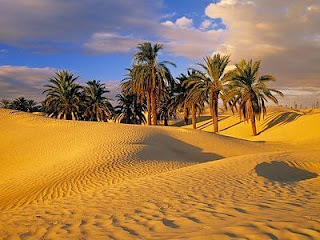 The yellow sand dunes stretch to infinity, whilst the scorching sun of the Sahel beats down on your head. You’re tired and you’re thirsty – you’ve been travelling for miles, searching for water. Yet nonetheless you are cautious: nothing is as it seems in this land of smokescreens and mirrors. “Water! Water!” you begin to scream. No… even imagination is playing tricks on you. But what if in the distance, past the undulating sand dunes, lay the waters of sand-locked lagoons and waterfalls surrounded by palm trees? It is this vision of utopia, surrounded by barren wasteland that inspired us to catalogue some of the most incredible desert oases before they are devoured by the desert sands and become mirages themselves. 1. 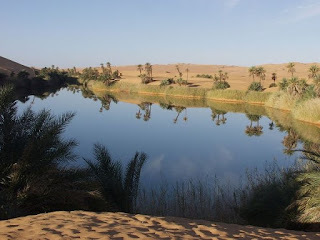 Ubari Lakes are part of Erg Awbari Oasis in the Sahara. 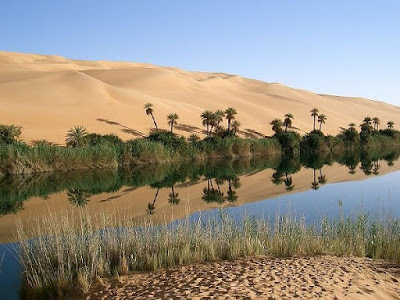 Located near Fezzan and 30kms north of Germa in Libya, these salt water lakes are a central trading point for many locals, who gather at the edges of the lake selling souvenirs and other goods. 2. 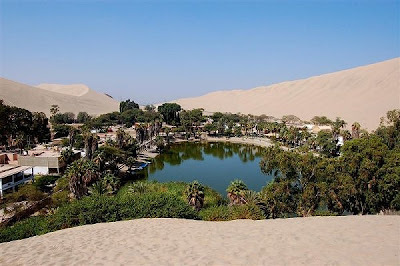 Huacachina is a small oasis town in the Ica region of southwest Peru. This oasis, named ‘Oasis of Americas’, is a popular resort with local families and tourists. A legend says the lagoon was created when an inquisitive young hunter disturbed a beautiful princess bathing. She fled, leaving the pool of water behind which became the lagoon. 3. 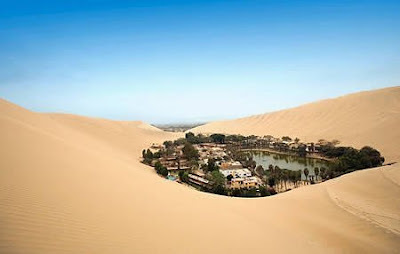 Turpan, or Tulufan as it’s also known, is an oasis city in the Xinjiang Uygur Region in China. 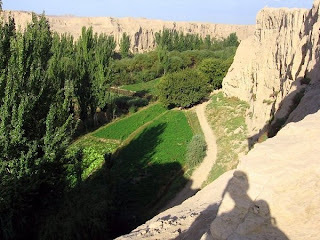 It is just 8km west of the ruined city of Jiaohe, a border garrison town destroyed by Genghis Khan during the Han dynasty. 4. 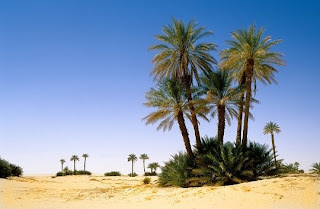 We’re not entirely sure where this desert oasis is but we had to include it because, surely, this is what most people perceive as the typical oasis mirage? If anyone has been there, shoot us the location. 5. 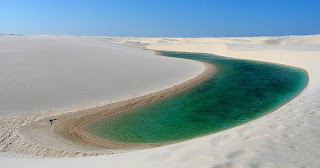 This wonderful desert lake is set within Lençóis Maranhenses National Park, Maranhao, Brasil. It forms part of a system of fresh water lagoons which fill up with rainwater during the first six months of the year and then gradually evaporate over time to be topped up again the following year. Some of the lakes within the park are dotted with palm trees. This lonely lake, however, has one solitary dry branch decorating its banks. 6. 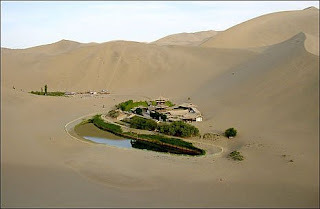 Crescent Lake in China’s Gobi Desert sits on the edge of an ancient city that once saw traders embark on their journey along the Silk Road to the West. Today it is drying up and has dropped more than 25 feet in the last 30 years, in part due to water being redirected for local farmers and a doubling of population, resulting in the slow disappearance of a lake that has existed for thousands of years. 7. 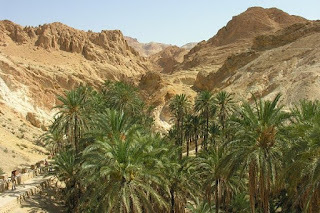 The beautiful oasis of Chebika in Tunisia is probably one that most people know about without realizing it. It is where Star Wars Episode IV: A New Hope was filmed. 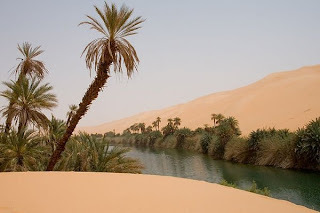 The story goes that the oasis was actually named after one of the characters, Chewbacca. 8. 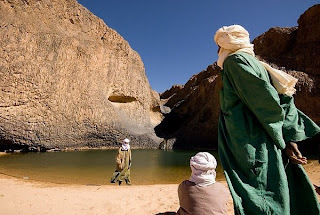 This stunning image shows three men quenching their thirst at a small waterfall in the Saharan oasis of Timia, in Niger. It’s a picture perfect portrait of everyday oasis life for local desert dwellers. 9. There are always small enclaves or villages dispersed near bodies of water, no matter how small, and this image shows why. 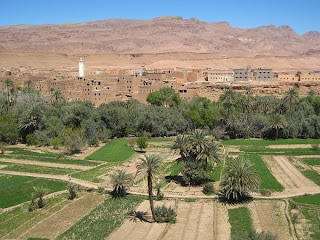 Even in desert areas wholes farms can exist with the life giving powers of water. 10. 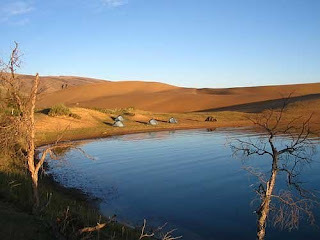 This remote desert lake, fringed by sand dunes is located in Khar Nuur, Mongolia. 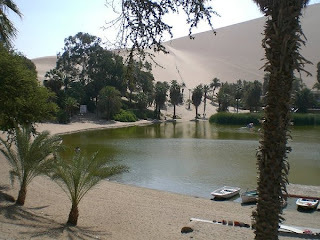 It’s a refreshing swimming spot for travelers who manage to venture into one of the world’s vast desert plains. 11. 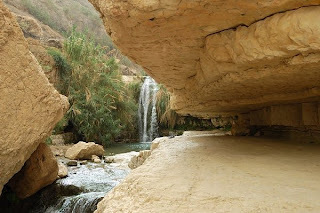 Nahal David is a quiet oasis found near Bethlehem, Israel’s Palestinian West Bank. It’s certainly a far cry from the war-torn images often associated with that part of the world. 12. 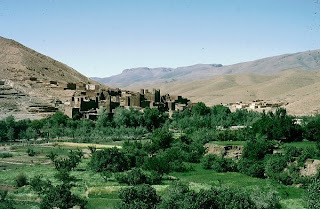 This sprawling oasis is the village of Tinerhir, located at the foothills of Morocco’s Atlas Mountains. 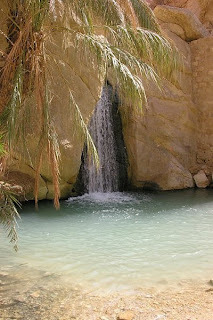 Todra Gorge and oasis are about 14km away so travellers normally visit both oases on the one trip. 13. 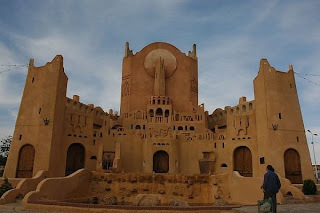 Ghardaia is the main town in M’zab oasis in northern Algeria. Founded in the 11th century, the city was built around a cave which was reputedly inhabited by the female saint Daïa, and is still revered by M’zabite women today. The oasis offers some wonderful examples of original Arabic medieval architecture and is now a protected UNESCO World Heritage site. 14. 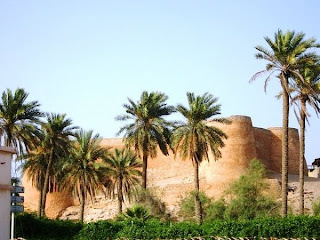 This castle is part of an oasis on the western shore of the Persian Gulf in Saudi Arabia, called Qatif. The city dates back to 3,500 BC and was for many years the main town and port in the western Gulf, which meant it was a popular spot for invasion and take over by ruling powers through the ages. This resulted in an eclectic mix of architecture and the area now boasts some of the best archeological sites in the kingdom. 15. 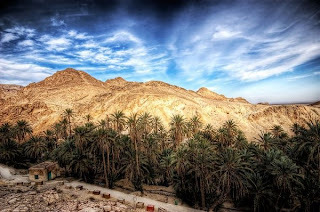 This oasis is hidden in the depths of the Oman desert, where a number of green oases dot the landscape. 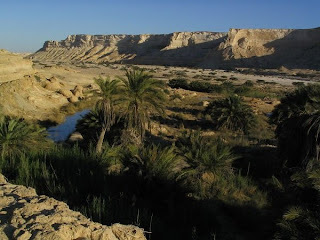 A few oases in the tiny Sultanate, on the corner of the Arabian Peninsula, are hotspots for botanical studies into agro-biodiversity where many of the ancient oasis are in rapid decline; researchers want to figure out why. 16. 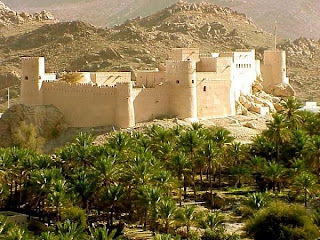 Nakhl Fort sits overlooking a lush, green date-palm oasis in Oman. These impressive forts were strategically placed across much of the Oman desert, like many places, to protect villagers from invasion. 17. 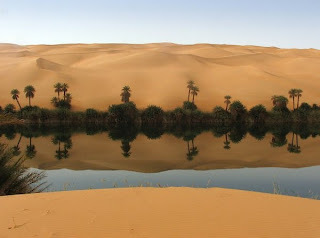 This beautiful unnamed oasis is situated in Niger. If you have any further info, we’d love to hear about it in the comments section. Considering the recent unrest in the country it’s amazing to find places like this still. 18. 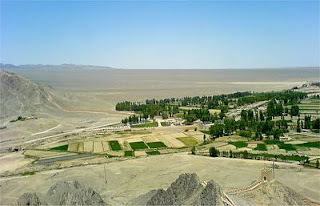 The lush green carpet of shrubland and fields sit in stark contrast to the barren hills in the background of this typical oasis village. Any clues to where it is?